Are you or a friend getting started with cloth diapers? Does it feel just a bit overwhelming? It is easier than you think! Just a few simple things and you will be ready to go! Let's start with the obvious, right? You need about 24 (give or take) diapers. You can grab all in ones, pockets, hybrids, prefolds, fitteds or any combination of the above! Having 24 diapers will give you the wiggle room to wash every two days. Probably the most obvious necessary accessory. Use cloth wipes and wipe solution so that you never have to buy a pack of disable wipes. Plus, cloth wipes are so much better for your baby's skin! Don't forget to grab some wipe solution too! So now you have dirty diapers and wipes... where do you put them? In wet bags my friends! I recommend at least one smaller wet bag for the diaper bag and at least one pail liner for the home. If you have two of each you can use one while the other is in the wash.
Once you have started to use cloth diapers, the washing must begin! Don't worry, this is easy too. It is just a few extra loads a week! Charlie's Soap is a great option and inexpensive per load. As long as your child is exclusively breastfed, you won't have to worry about these! But eventually they must start to eat solid food and you have to do something about the... waste. One option is to connect a sprayer right to your toilet and spray off the diapers into the toilet. If you choose to go with the liners, you put one in each diaper and just flush it down the toilet when soiled. Even though it is easier than you think to get started, there is an option of using a cloth diaper expert and it is completely free to you! They can help you pick out what you need, get you set up, help you with fit and washing. If you have an option of a team of experts helping you than why not? Are you ready to get started on your cloth diapering adventure? It is fun, I promise. 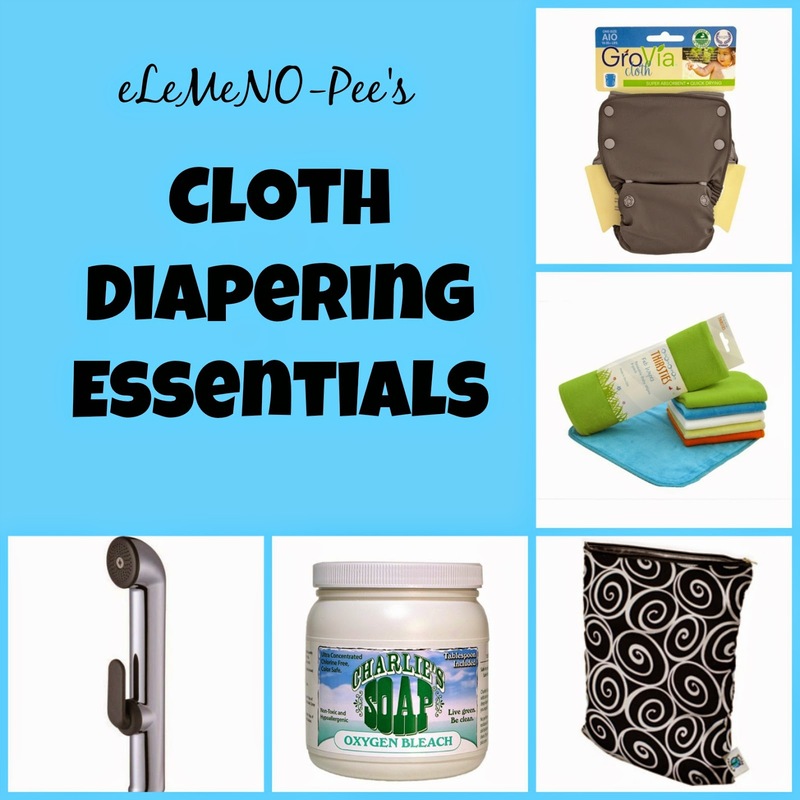 Check out eLeMeNO-Pee and get in touch with your local cloth diaper expert!